Midway through the holidays – how’s it going? No doubt the juggling act is at its height now – entertaining the children, managing childcare, playdates and holiday clubs, plus planning for the Easter weekend – family, travelling, cooking and chocolate. Just focus on the chocolate and all the rest will fall into place. For added Easter happiness, keep our calendar close at hand (read more). If you’re considering a change of bricks and mortar start your search on our property pages which have all the homes for sale and to rent in the neighbourhood. We know Nappy Valley well, so it’s a great place to start (read more). 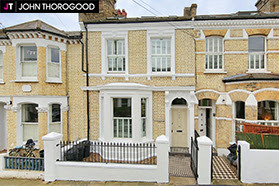 For sale with Marsh & Parsons is a 5-bedroom family house in a popular location in Tooting Bec close to excellent shops, restaurants and transport links, with plenty of natural light, fantastic proportions throughout and sliding doors from the kitchen/family room opening onto a large, private garden (read more). For sale with John Thorogood is a 4-bedroom family house set ‘Between the Commons’ and within the catchment for Belleville Primary, wider than average and extended into both the loft and side return, with a study and a large sunny kitchen/family room (read more). 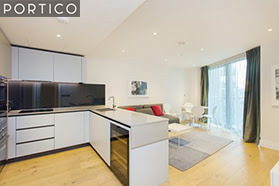 For sale with Portico is a two double bedroom stylish apartment in the popular Riverlight development within the Nine Elms regeneration area (read more). 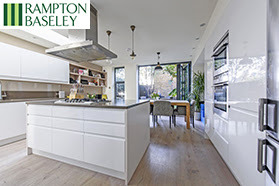 For sale with Rampton Baseley is a stunning 4-bedroom Victorian house which has been beautifully extended and refurbished. 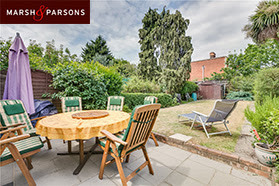 It is close to a good number of schools (both state and independent) and the amenities of Northcote Road are just minutes away (read more). Tony’s Last Tape is playing at the Omnibus in Clapham Old Town based on the diaries of one of Britain’s most respected, divisive and celebrated politicians (read more). Hard Pushed: A Midwife’s Story with Leah Hazard is at The MCT at Alleyn’ssoon, the chance to hear first-hand stories of life on the front line of an NHS maternity ward (read more). Raising Boys – Understanding boy world and helping boys thrive in it with The Parent Practice will look at several scenarios with practical tips on how to manage them (read more). Nurturing Mums Postnatal Courses get underway again in Balham and Earlsfield at the end of the month. Four weekly sessions to help you get to grips with sleeping, weaning and first aid in the company of other new mums at just the same stage as you (read more). If you haven’t already had a look at our latest NappyValleyNet offers and competitions, take a peek now. Prizes up for grabs include membership of Mathnasium, a 2-hour art consultation with Louisa Warfield Art Consultancy, a £100 Edward James voucher thanks to Bellevue Law, private classes with Pepilates and more, plus tempting offers on all sorts from homes to holidays (read more). Easter holidays – let the good times roll..
Dulwich LTC Easter Camp is on next week for all abilities between the ages of 3 and 17 with LTA qualified coaches getting them into the swing (read more). Who doesn’t love this glorious pig?! Dance Grooves is running a Dance & Creative SING-themed Workshop in Putney next week for any budding starlets (read more). First Aid for Life is running a Teenage First Aid Course in Balham next week (also open to tweens!) where they’ll cover CPR, head injuries, bleeding and drink-related hazards. Great to have them in the know (read more). SW Sports continues its multi-sports camp on Clapham Common, having fun with everything from tennis and football to volleyball and cricket (read more).